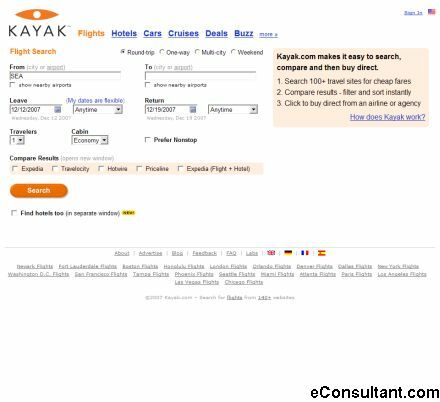 Description : Kayak.com is a new kind of website; a travel search engine site. We help people like you find travel products from travel suppliers all over the world. This means a better travel search experience, more complete search results and best of all, savings for you every day. If you use Kayak.com for your travel planning, you are going to save time and money.